served with chicken liver pate and Lebanese flatbread. 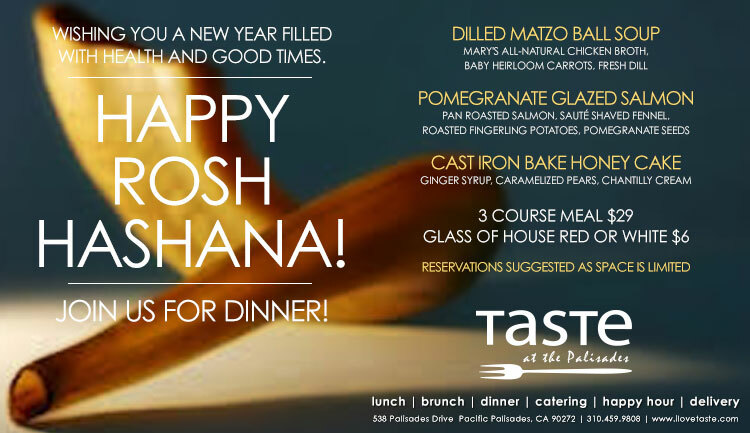 Enjoy a three-course Rosh Hashanah dinner for $29. Start with a dill matzo ball soup for the first course. 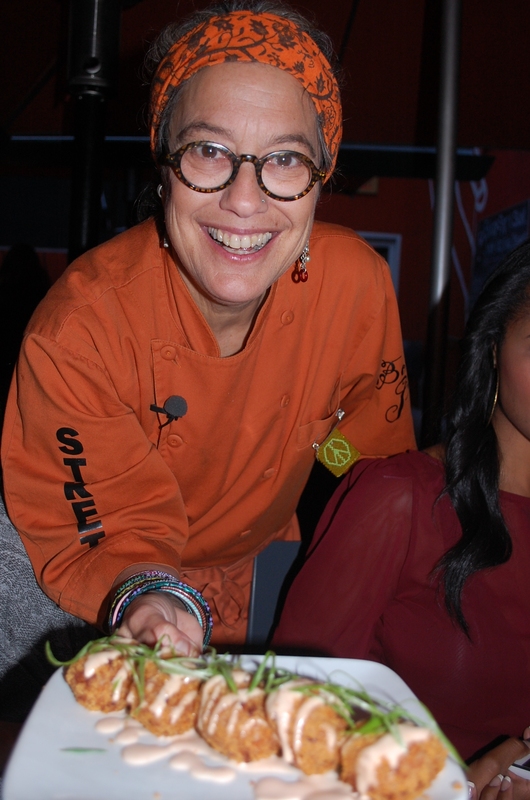 The main entrée is a pomegranate glazed salmon and finish with a cast iron bake honey cake. Space is limited. A special prix-fixe dinner features an apple celery salad, pot roast with carrots and caramelized onions,Fish of the Day or lemongrass chicken. Mashed potatoes and pea tendrils are served family-style. Dessert is a honey roasted fig tart with Mascarpone cream or chocolate pudding. The meal is $45 per person. Lobster Monday will resume on Sept. 9. 8225 Beverly Bvd. (323)655-6592. 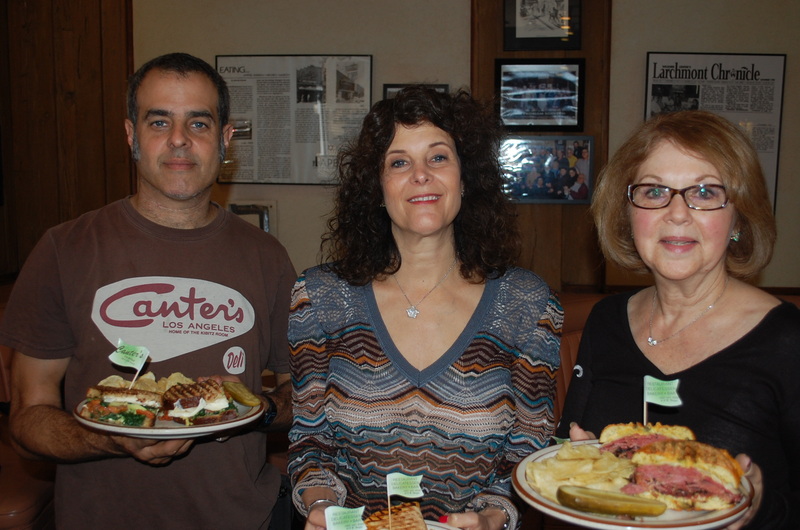 Canter’s Deli will be closed on Rosh Hashanah and Yom Kippur. They are open seven days a week, except on these two holidays.